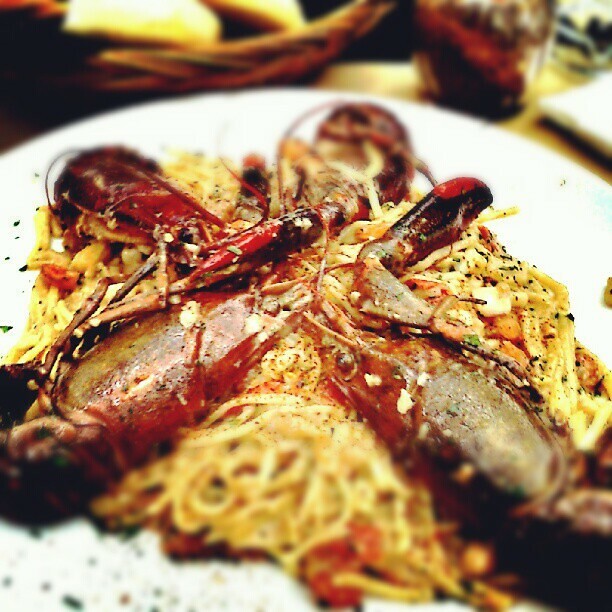 Do you love Italian food? Here at 10Best we do too, and that's why we dedicate ourselves to finding the best places to enjoy Italian cuisine in Berlin. 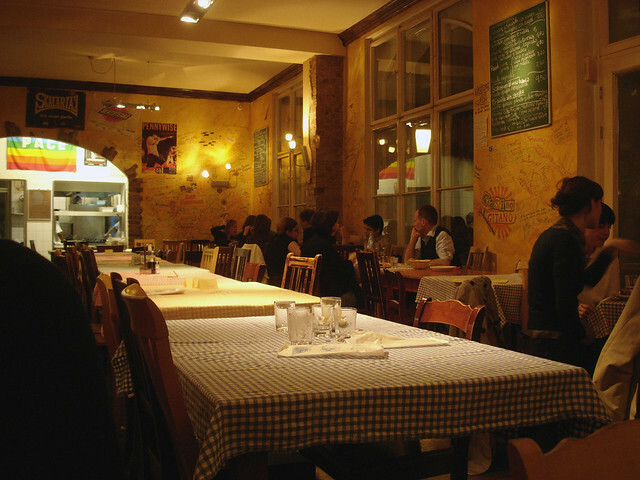 We've diligently scouted out the top eateries, and we've listened to our readers and their reviews of Berlin restaurants. We share the places that get great buzz, like Don Camillo, and we showcase the ones that have proven themselves over time, like Bar Centrale. Italian restaurants in Berlin are fortunately a dime a dozen. Discriminating between the different options on display, however, is another matter entirely. Enter 10 Best. Our Local Experts are expressly here to help you filter through the litany of options; 10 Best highlights places to head, where to make reservations, what to expect, and even hot tips for each particular location. Per usual, we also like to offer restaurants on a spectrum, such that our readers don't have to shell out top dollar in order to get some good food. We also point out Berlin districts and neighborhoods in which such select establishments are - such as Mitte and Prenzlauerberg, for instance. One this is clear, however: when the craving hits, this list will help ensure that you get your fix. Don Camillo has no menu; instead the waiter will bring out a cart where you can choose different ingredients to create your own appetizers and mains. It's a small quaint restaurant with a high-quality feel. It is a really classy establishment. The prices at this highly-thought-of restaurant will leave you satisfied as much as the mood, though it can tend towards the more expensive. The atmosphere is very quiet and calming, especially in the summer where one can sit out on their cosy garden. 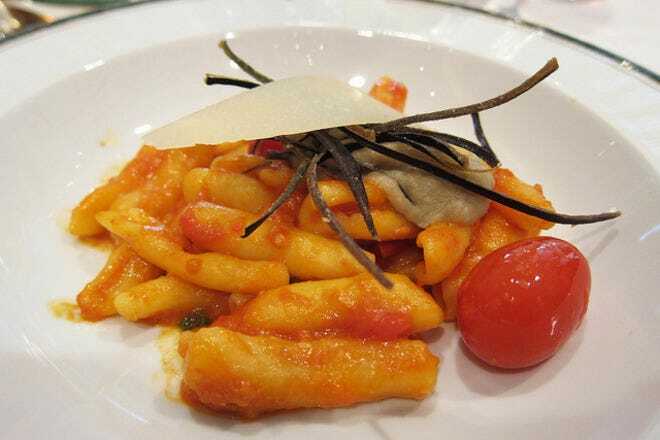 The menu offers traditional, expertly prepared Italian dishes. Reservations are definitely recommended. The closest S-Bahn station is at Sophie-Charlotte-Platz. 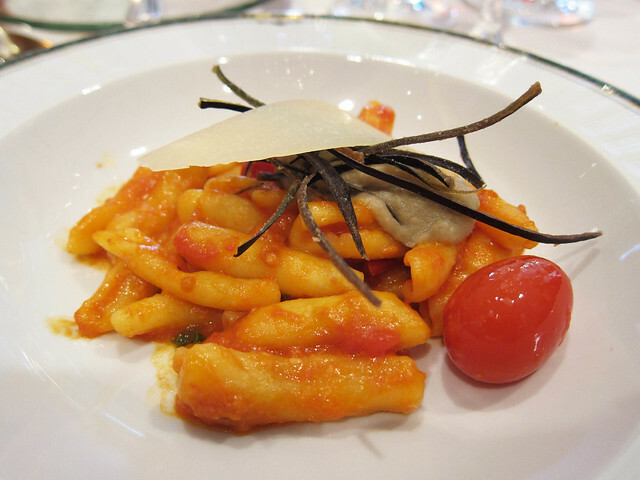 The best food from Southern Italy is basic and simply prepared. 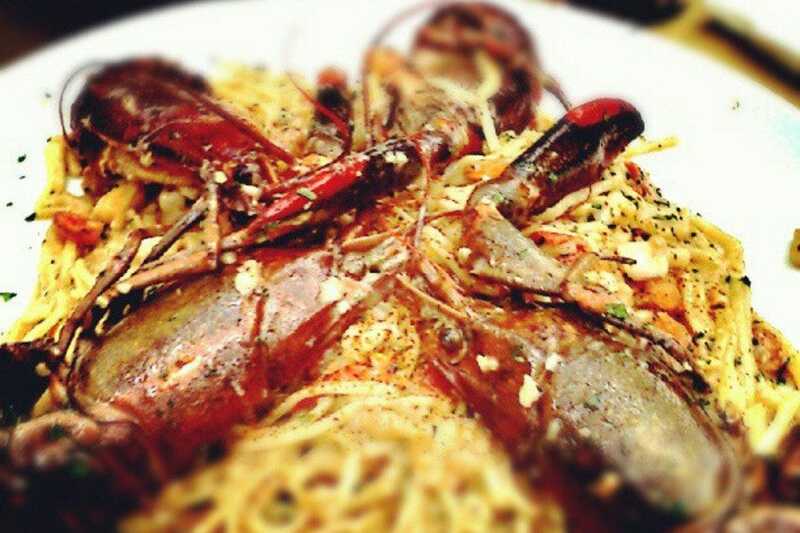 That's what you'll find at this family owned and run Basilicata restaurant. Fresh bread baked several times a day is a true treat, and the select wine list is worth a taste. 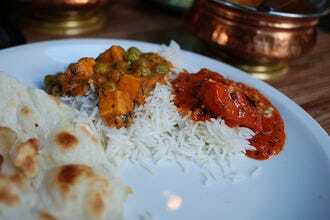 Given the overcrowding and business the service is very good - everything in the restaurant is freshly prepared when you order it. Reservations are certainly recommended. They also accepted all major credit cards, which is not often the case in Berlin. Trattoria A Muntagnola is situated closely to KaDeWe, so its a good option to head there and visit Trattoria afterwards for dinner. The closest U-Bahn station is at Wittenbergplatz, located on the U2 line. The menu at this delightful little Italian restaurant in Charlottenburg tends to the more expensive, but if you have the money, its absolutely worth a visit. 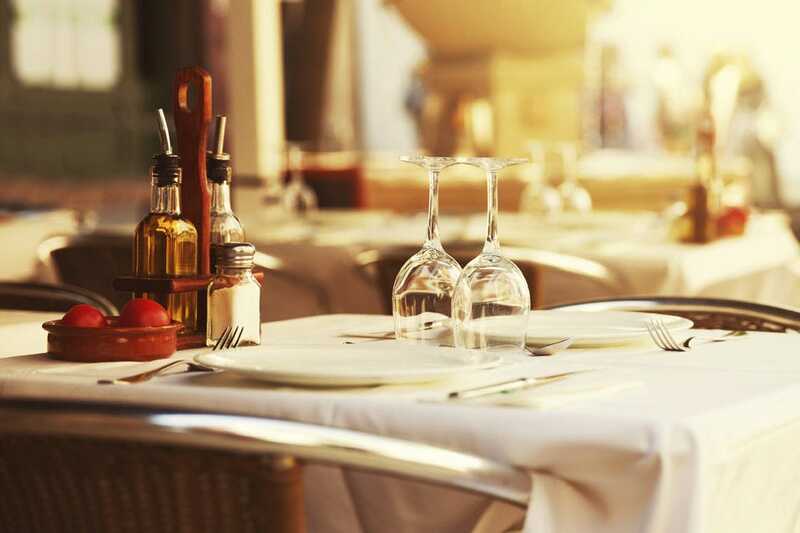 The cosy atmosphere and ambiance alone make the experience here unforgettable; but the food is what really sets Ana e Bruno apart from the rest. 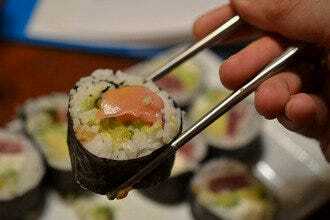 The dishes lean toward the adventurous rather than the traditional. Veal, shrimp and pasta are perfectly matched with a great and extensive wine list (as assortment of over 500 Italian choices!). They also offer a select, six-course tasting menu for those who are wanting a more comprehensive culinary experience. The desserts are also divine and you can look forward to a great espresso to round off your meal. Reservations are highly recommended. The closest S-Bahn station to Ana e Bruno Westend. 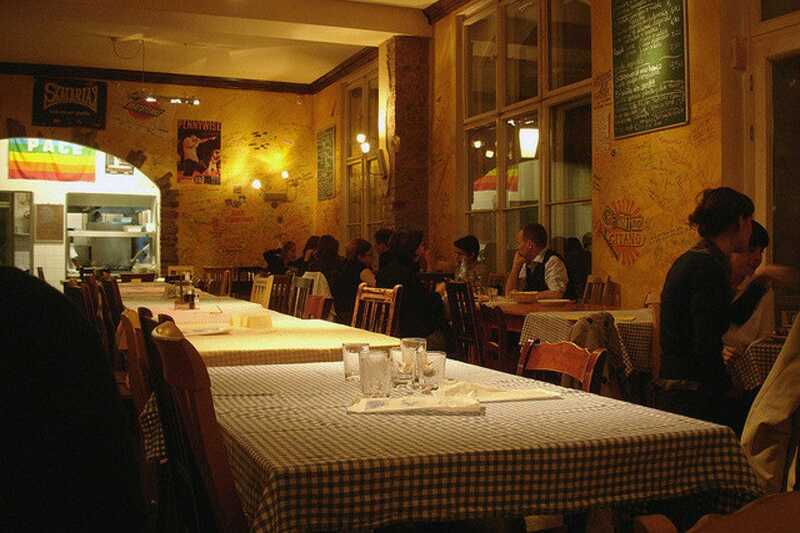 Are you looking for great Italian food in the Prenzlauerberg neighborhood of Berlin? Ja, paesano! Located on Berlin's revitalized eastside, the casual Trattoria Paparazzi wasted no time establishing a loyal customer base. Indeed, the comfortable eatery serves delicious, home-cooked fare at reasonable prices, a fact that almost guarantees full tables every night. 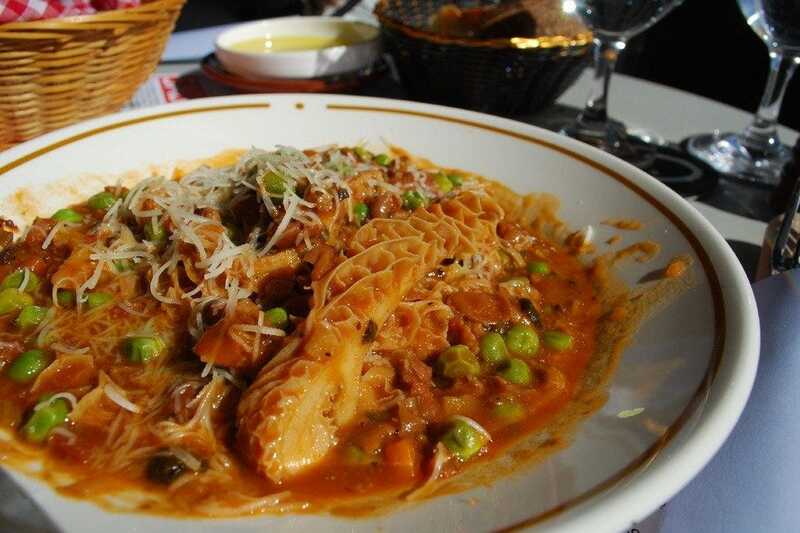 House specialties range from malfatti (spinach gnocchi) to excellently prepared pizzas. A decent wine list and unpretentious service firm up the place's justly-earned rep. Oh, yes: saving room for dessert is an extremely wise move. The closest U-Bahn station is Eberswalder Straße, which is located on the U2 line. Pizzeria I due Forni is in a certain sense chaos incarnate--but a delicious and affordable pizza place. Allegedly run by a group of Italian anarchists, so roll with the punches and enjoy the fervor. They'll serve you rude and fast in a loud, hectic hall of tables being adorned with delicious brick oven pizzas. Love it or leave it. But if you choose to leave, may we suggest still ordering a pizza to go. Ensure that you try the homemade spicy chili oil -the perfect complement to your pie. 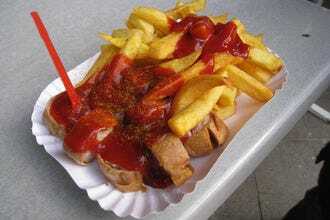 They also have sister restaurants in Friedrichshain and Kreuzberg. Closest U-Bahn station is Senefelderplatz on the U2 line. 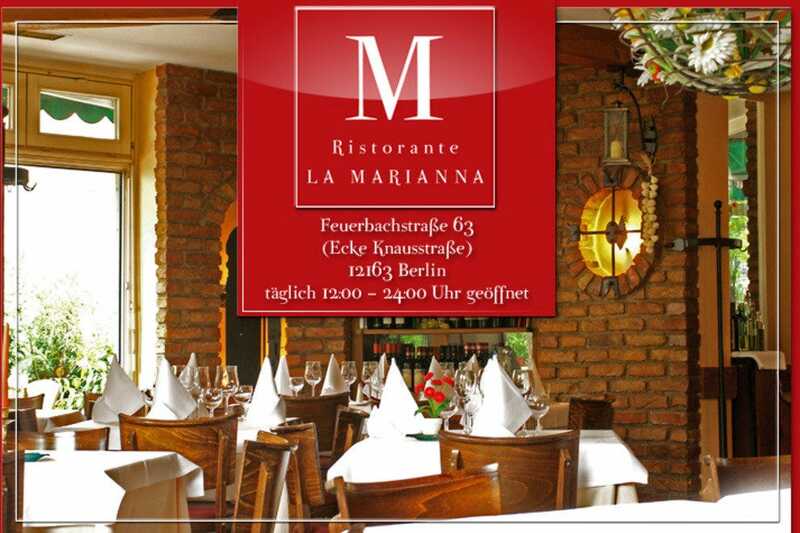 La Marianna offers excellent service and food. It's not in the middle of Berlin, but rather in the Steglitz quarter, so it makes it more of a hidden gem. It is a neighborhood fixture in a largely non-touristy area. 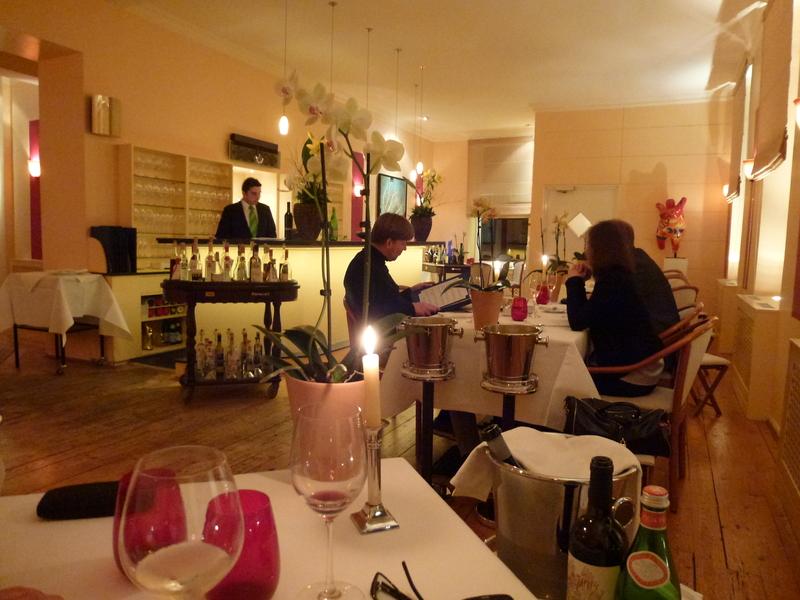 Simply put, this is one of the best Italian resaurants in Berlin. They're very friendly and offer an inviting atmosphere, and meals always begin with a delectable bruschetta as an offering. 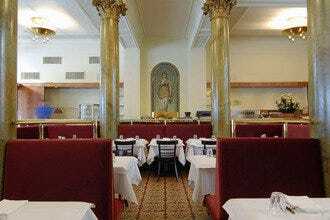 The atmosphere is very Italian and the meals are reasonably priced for what you are served. We at 10Bes highly reccommend a visit - but be sure to book in advance as they are always very busy - its worth it. Bocca di Bacco has an excellent menu; the food is delicious and fresh. 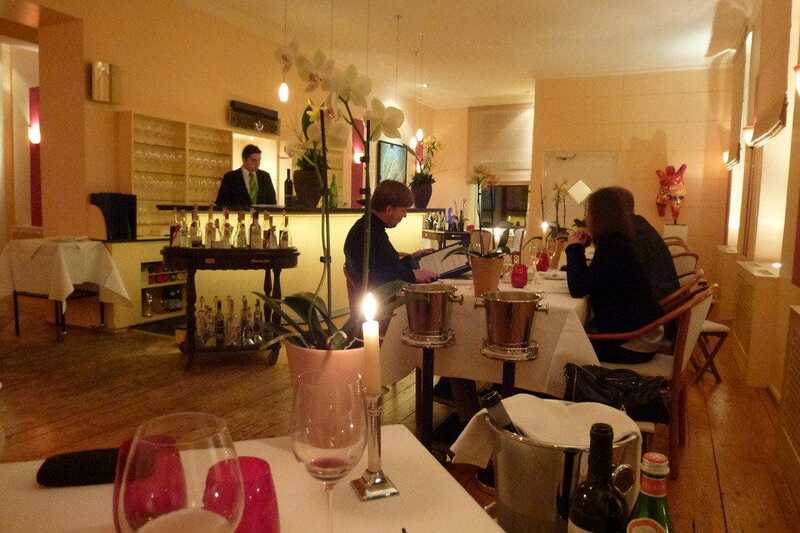 The restaurant is a top address on Friedrichstrasse and has a modern, friendly relaxed atmosphere. The service is excellent and entirely professional. 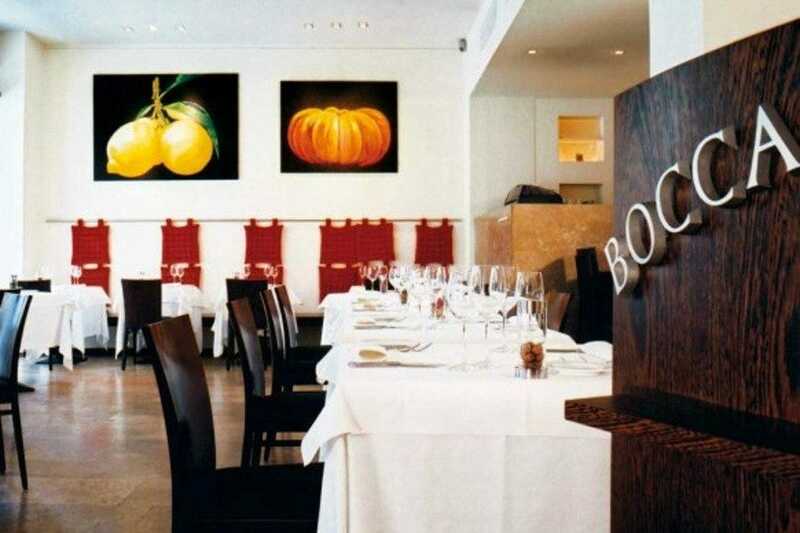 Bocca di Bacco has a cool interior without being contrived - the tables are comfortable and well-spaced with nicely starched linens. This tends to the more fine-dining crowd, as menu prices sometimes reflect that. The walls are also decorated by contemporary Art, which is a nice touch. The closest S-Bahn station to Bocca di Bacco is Friedrichstraße. It is good idea to dress a bit more chic here, as the clientele is more upscale. Bar Centrale is a popular local dining establishment that serves fresh pasta, generous salads, veal, and seafood choices in the Kreuzberg neighborhood of Berlin. It is of a decidedly more gourmet; they have a monthly-changing, four-course pre-fix menu for 39 that is really delicious. They also have a extensive list of grappa available to complement your meal. 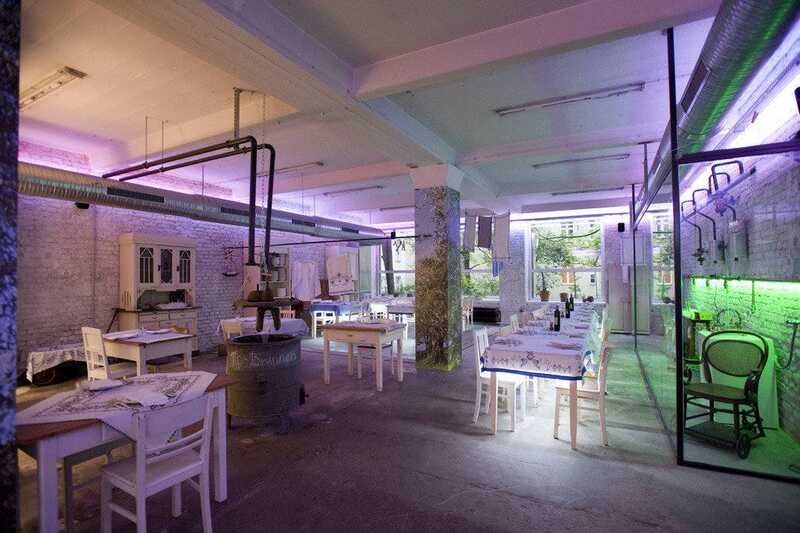 Moreover, the atmosphere is ideal: it is softly lit and the perfect place to take a date. 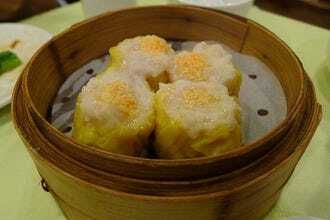 But the food is worth the wait, but it's a good idea to eat a bit early. The closest U-Bahn station is Gneisenaustraße, located on the U7.